It looks very much as if the Chequers deal has been rejected by M. Barnier. So Theresa May’s softest of soft Brexits isn’t enough. A plan that has outraged much of the Conservative Party, most Brexiteers and caused the resignation of any number of ministers still doesn’t satisfy the EU. What next? Parliament has shut down. The politicians will now have a deserved holiday. But when they come back the fundamentals will still be the same. There are three options. 1. We could opt to Remain in the EU on the same terms as we had before. 2. We could decide that it is pointless negotiating with the EU and leave anyway without a deal. 3. We could submit to whatever terms the EU wants, agree to these and leave on that basis. The only deal I want with the EU is something similar to the free trade deal they have made with Canada and other countries. The EU doesn’t interfere in the internal affairs of Canada. There is no free movement of people between the EU and Canada. EU law or EU law courts do not in any way control Canadian laws or Canadian law courts. Why can’t Britain have something similar? The reason is Northern Ireland. Apparently a simple free trade deal with the whole of the UK outside of the EU’s Single Market and Custom’s Union would impose a hard border in Ireland. The whole point of the Chequers plan is to so mimic the EU’s Customs Union and Single Market that there need be no border checks in Ireland. But what would happen if we left with no deal. Would there be border checks? No. The UK has promised not to man the border in Ireland. The Irish have no intention of manning their side of the border either. Moreover the EU has promised the Irish Government that if there is no deal there will be no requirement for anyone to man the border. So neither the EU, the British, nor the Irish want or intend to man the border. Yet this and really this alone is preventing us from having a free trade deal. It is necessary to conclude that this problem is manufactured bogus and designed to force Britain to accept the worst possible deal with the EU. What does the EU want? It most wants us to stay in the EU. If that isn’t possible it wants us to leave in such a way that we cannot make a success of Brexit and thus be a positive example to others. So we could choose option number one. We could decide that leaving the EU is impossible or that it would do immense damage to the economy. Why would it do this damage? The reason is that the EU has come up with a bogus reason for making it impossible for the UK to have a free trade deal like the one that it has with Canada. What if we chose option number two. We just go to M. Barnier and do what he wants. How much softer will Brexit have to get before M. Barnier is happy? I suspect we would have to agree to remain in the Customs Union, possibly the Single Market and we would have to accept free movement of people. We would have to accept that EU law remained supreme and that the European Court of Justice was higher than any British court. We would likewise have to pay not merely the £38 Billion divorce fee, but an ongoing yearly fee not dissimilar to the one that we paid as EU members. This is the price that the EU wants for us to trade with them freely. I would prefer remaining in the EU to this. If leaving the EU is truly impossible, then it is better by far for Theresa May to go on television and admit that we tried to leave, but we couldn’t do it. There is no point having a referendum on something that is impossible. Better to just admit that the 2016 EU referendum was a charade because the EU really is a prison without doors. In this way we would join the long list of countries that voted against the EU and were later forced to change their minds. What would be the consequences of this? In the short term there would be none. We would all get on with our lives. There wouldn’t be any economic disruption next March. But there would be a sullen sort of anger in the hearts of many voters. There would be a sense that politics was pointless and that elections didn’t matter. There would be pessimism about the future and a loss of hope that real change was possible. Long term this sort of thing withers a country. What would be the point of ever having a referendum again about anything? If it turned out that the fifth largest economy in the world couldn’t leave a union of forty years, who would believe that Scotland could leave a union of three hundred years? Moreover, even if Scotland at some point voted to leave the UK, what would prevent the UK negotiating in the same way as the EU in order to give Scotland either independence in name only or else the chance to repent of its sins and remain? But once you say to people that their political ideals are pointless that real change cannot be achieved by means of the ballot box, you open the way to a poisonous mixture of apathy and extremism. If Britain either fails to leave the EU or leaves in such a way that it is indistinguishable from remaining, there will be consequences for our democracy that are completely unknown and unknowable. I fear this far more than leaving without a deal. After her holiday Theresa May should make a final offer to the EU. We want a Canada style free trade deal that applies to the whole of the UK including Northern Ireland. We are not going to allow any sort of internal border in the Irish Sea. If this is unacceptable she should say there is nothing more to discuss and announce to the British public that we are preparing to leave without a deal. Leaving the EU without a deal would no doubt involve some short term difficulty, but we ought not to leave on terms that are intended to do us long term harm. In our long history we have from time to time had to struggle in order to do what was right. The beginning of the First World War brought with it financial chaos, but neither the government nor the people wavered in its resolve. A little courage is required, this time, but only a little. We will have to adjust in order to trade with the EU on WTO terms. The EU might be awkward for a while, but this won’t last long. Whatever happens, we will manage and it will be worth it. 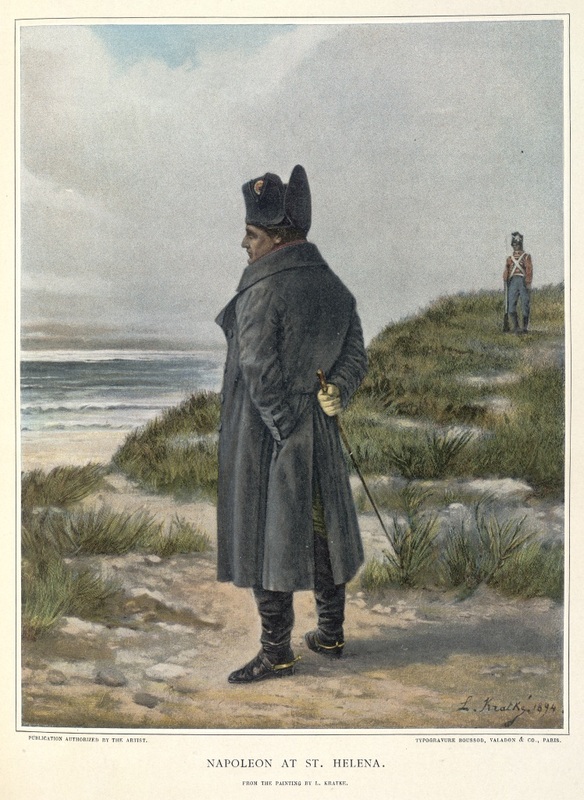 We survived Napoleon’s blockade and eventually he ended up on one of our tiny islands in the middle of the Atlantic. We have seen off worse than the likes of Barnier. "Moreover, even if Scotland at some point voted to leave the UK, what would prevent the UK negotiating in the same way as the EU in order to give Scotland either independence in name only or else the chance to repent of its sins and remain"
The requirement, on the UK's part, to maintain access to Coulport and Faslane is what would prevent that. Faslane & Coulport are red herrings. The UK government would just move the subs to Norfolk Virginia (they go there now) in the short term before a permanent base could be constructed somewhere else in the UK. I wouldn't advise on that negotiating tactic. I'm glad to see Effie is coming around to the idea of remaining. Perhaps you could also blog on the multitudinous acts of misinformation, deception and fraud which were inflicted upon the audience of this charade, and raised their expectations so? If we left with no deal, there would still have to be a hard border installed because of WTO rules. Please cite the WTO rule that stipulates 'hard borders'. "The EU cannot and will not delegate the application of its customs policy and rules, VAT and duty collection to a non-member who would not be subject to the EU governance structures."